Spoil your spuds with the real thing. 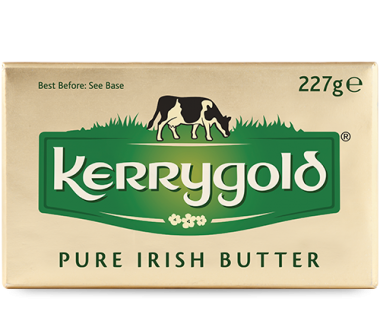 Mashed, baked, sautéed or roasted, Pure Kerrygold Irish Salted Butter works a treat. Our gold is of the down-to-earth variety. There are no artificial additives in our butter, or any of our products. Just 100% natural ingredients. Guess the secret to the iconic golden colour? It’s the beta carotene found only in the freshest grass. Available sizes: 10g mini pack, 200g, 227g, 250g, 454g, 500g.